David studies the evolution and nervous systems of the most diverse group of animals on the planet: Arthropods. 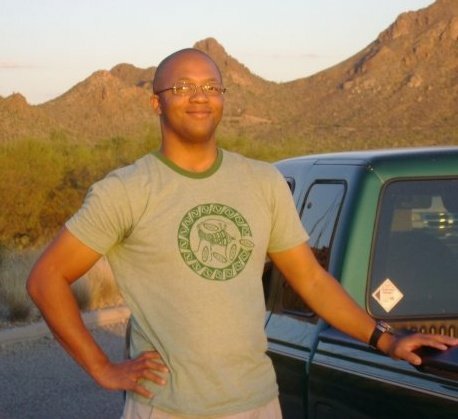 He uses computational bioinformatics to infer how different arthropod species are evolutionarily to and compare the anatomy of the nervous systems in these animals in an effort to deduce principles of nervous system evolution and function. 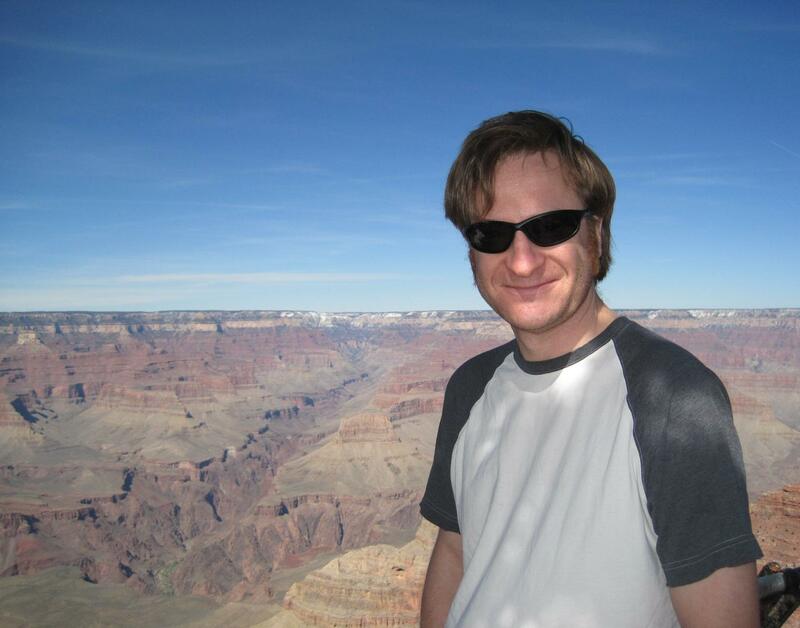 David will be working with Andrew Lettes at Pueblo High School, where his expertise in phylogenetics, bioinformatics, and molecular techniques will be useful in biotechnology classes. Nhi is interested in social insects and how variability of traits among workers within a colony collectively contributes to the function and fitness of their colony as a whole. For example, worker body size variation plays an important role in some social insect colonies, such as in ants, because it is associated with and adapted for division of labor in those colonies. Nhi's research involves using a life history approach to understand why bumble bee colonies exhibit large worker body size variation. At the individuals level, she is investigating the relationships among body size, lifespan, energetic metabolism, and work effort in bumble bee (Bombus impatiens) workers. At the colony level, she would like to study how the collection of worker body size variation and life history traits affect colony-level fitness. Nhi will be working with JoAnn Lee and Caroline Carlson at JB Wright Elementary, where she will help students collect and identify insects to build their own collections. Aaron is especially fascinated by the sophisticated behaviors of insects—for example: flight, visual acuity, learning and memory, and odor tracking over vast distances—and the tiny brains that coordinate such activities without a second thought. His research is focused on discovering how the brain cells of a flower-visiting hawkmoth integrate information about CO2 and floral odors. It turns out that unlike humans, moths ‘smell’ ambient CO2 as just another odor among the hundreds they may encounter on a single flight. CO2 and floral odor can be important to the hawkmoth he studies, as the flowers it visits emit both a fragrant odor blend and a higher than ambient level of CO2. Aaron is excited about bringing his enthusiasm for research and experience with the buzzing, crawling, and creeping parts of the animal kingdom to Anna Heyer’s Biology classes at Flowing Wells High School. Aaron and Anna are developing activities in which students will test various visual, olfactory and taste environments for their ability to attract insects. 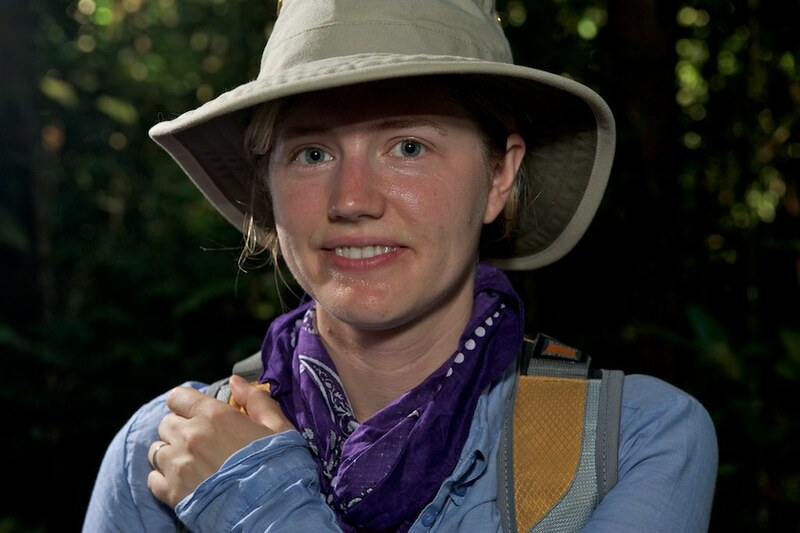 Ginny’s research focuses on the thermal ecology of mutualism, an interaction among species from which all benefit. Currently, she is exploring how temperature affects the interaction between the fishhook barrel cactus and its ant defenders at the Desert Research Laboratory on Tumamoc Hill in Tucson, Arizona. The fishhook barrel cactus exudes nectar from modified spines, attracting ants and in exchange the ants defend the plant from herbivorous insects. Each species displays a unique response to temperature; thus, the interactions among the species may change across a temperature gradient. 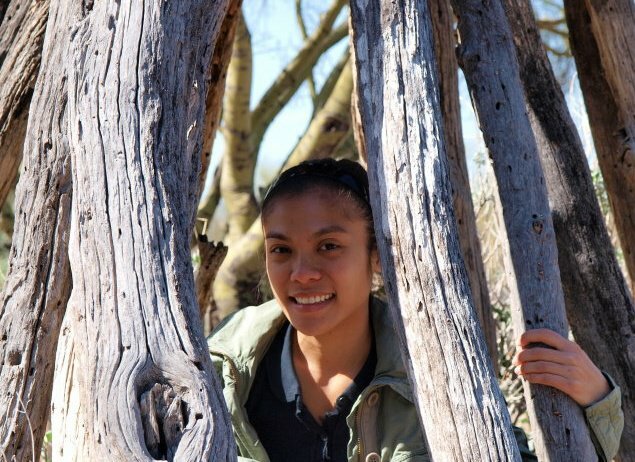 Ginny is working with Lisa Mooney at Sahuaro High School and hopes to heighten students’ understanding of ecology and appreciation for science in general. She also hopes to broaden students’ horizons by integrating lesson plans from her experience in the Amazon Rainforest, gained via a collaboration between BioMe and the Amazon-PIRE program. Sara's research focuses on bet-hedging in the winter annual Pectocarya heterocarpa, or ‘Chuckwalla comb-seed.’ This plant makes three different seed types- two that disperse in the wind away and away from the maternal plant, and one type that remains attached to the dead maternal skeleton. She is investigating how these seeds differ in their germination, dispersal, and survival, and how plants grown from different seed types vary throughout the life cycle. 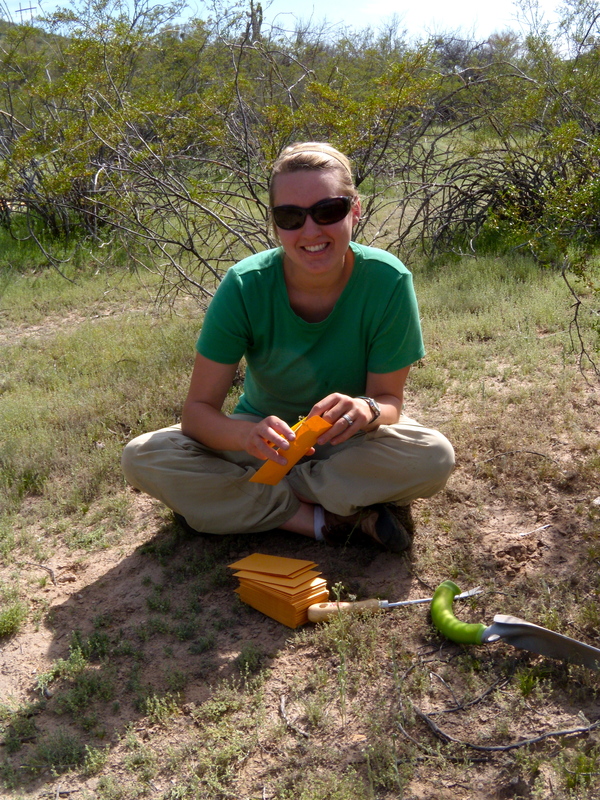 Because her research is done localy with plants that are found in Tucson, Sara hopes to show students that they can do science in their own environment. She will be working with Ava Bemer and Daniel Dong at Lauffer Middle School, where she plans to bring as much of her research into the classroom as possible. She hopes to help teach students identify native plants and their role in the ecosystem, recognize the difference between individuals and species, and how morphological differences can lead to long-term effects on organisms. Joe is interested the evolution of interactions among plants, the insects that eat them, and the natural enemies that attack the insects. Joe's current research is focused on the cost of parental care traits in plant-feeding insects and subsequently how plants influence the evolution of these traits. He studies these traits in a seed beetle native to Arizona, and hopes to bring his research into the middle school classroom with his teacher partner Matt Trausch. Joe plans to collect insects with students, as well as help students collect, question and examine their own seed pods to discover what emerges. 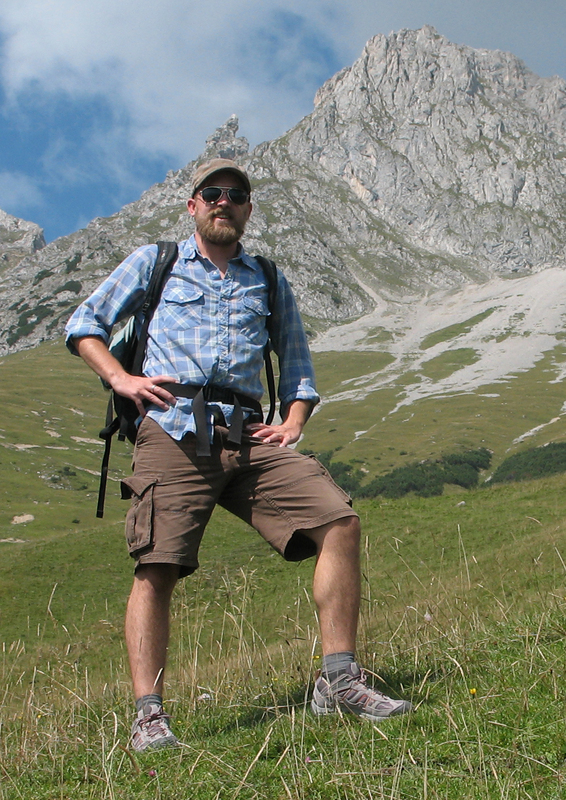 Through these exercises Joe hopes to help his students learn how abundant tritrophic systems are in nature, and how easily accessible research experiences are in their own environment. 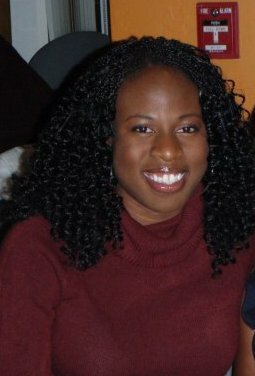 Ada is a doctoral student in public health (DrPH) currently working on using aspects of community based participatory research to conduct a national needs assessment of youth engagement and the Medical Reserve Corps (a public health emergency response organization based in the Office of the Surgeon General). She is interested in the factors facilitating engagement of adolescents within organizations and the possible impact the engagement has on the young person’s well-being and on the local community. This is one of many research areas of interest to Ada. She is looking forward to utilizing her science and health background (B.S. in Biology and Masters of Public Health) to make science and health engaging and relevant to students at Utterback Middle School. She is looking forward to working with her teacher partners, Gricelda Meraz and Bridget Gallus, and can’t wait to develop connections with the students. 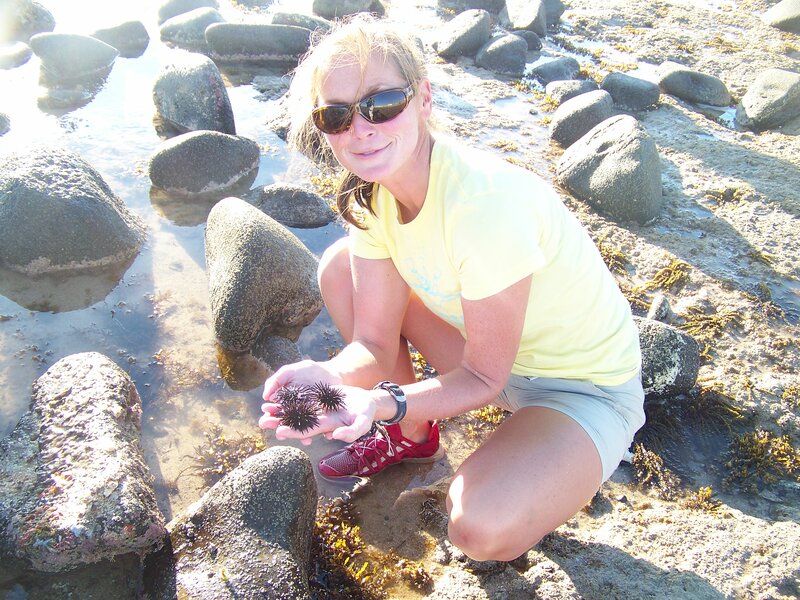 Lisa's dissertation research investigates environmental contaminants and their effects on fish. As populations escalate in Arizona and other arid lands, pollutants become increasingly concentrated in surface waters. At the same time, the volume of river and stream flows has decreased, intensifying the problem of contaminated aquatic systems. Her research is designed to provide comprehensive solutions to issues involving ecosystem dynamics and management in arid and semiarid systems. It combines the physical and biological aspects of contaminant influences on aquatic biota and has both academic and management implications. Lisa will be working with Brie Hiller-Hanan at Drachman Montessori School, where they will use Trout Unlimited's "Trout in the Classroom" program to connect students to their ecosystems. They plan to use the aquarium to introduce both physical and biological aspects of an ecosystem, as well as raising trout eggs. Lisa and Brie plan to use fish as a vehicle for lessons on living verses non-living things, the time line of life, and many other scientific fundamentals.